Aging is an inevitable process of life. 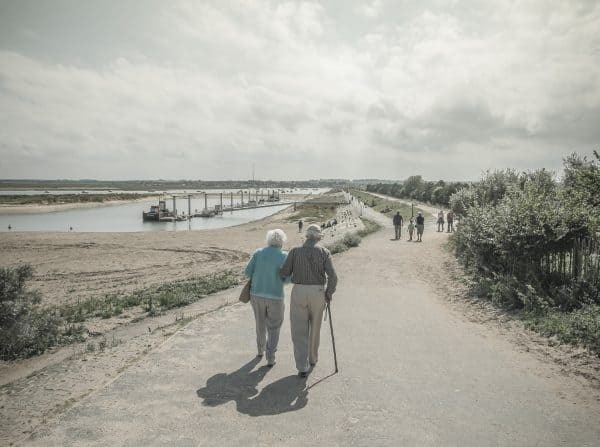 Socially aging is described in terms of the years one has existed while biologically it is defined as a number of changes at a cellular level that makes one susceptible to diseases and infections. The aging process is dependent on environmental as well as genetic factors. Life expectancy is defined as the average total number of years that a human expects to live while life span is the maximum number of years that a human can live. Life span remains constant at around 125 years however life expectancy is increasing in Western countries. According to WHO, between 2000 and 2050, the proportion of the world’s population over 60 years will double from about 11% to 22%. The reason behind this is a better lifestyle, hygienic conditions, elimination of infectious diseases and use of antibiotics and vaccines. 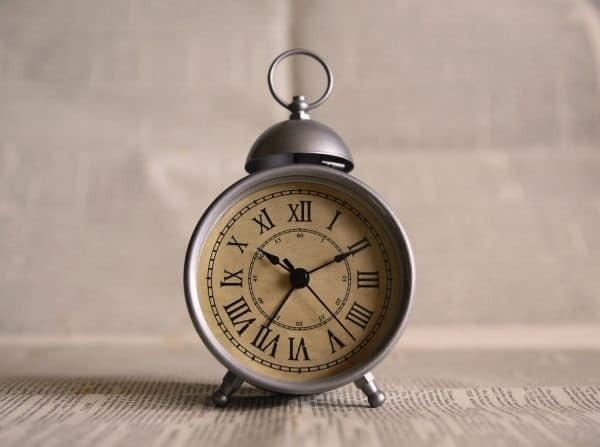 There are many theories as to how and why aging occurs but in short it can be thought of as a gradual, complex process leading to the deterioration of body function and increased vulnerability to diseases. Aging makes its presence known by altering various aspects of the body. Wrinkled skin, age spots, greying hair, reduced muscle mass are a few of the external changes aging brings about. Internally it affects one’s vision and hearing, memory, blood pressure, digestion and weakens bones and joints. Moreover, it affects overall immunity and resistance to the environment. Though science has been successful in increasing life expectancy and delaying signs of aging; aging cannot be reversed or avoided and it still remains the major cause of mortality. While aging is inevitable there are so many ways one age but still, remain healthy. In fact, that is the key point – aging is not an issue if you are healthy and happy. Many people feel that’s the best part of life – if you can. Turmeric has known to provide so many benefits to disorders which are associated with aging. So I thought to write a detailed article with all the thoughts and benefits and one place. Here it is. It is a bit long but that was required to do justice with the subject. Since ageing cannot be avoided, one can always opt for healthy ageing. Turmeric is a spice used in Asian cooking that is famous in Ayurveda and Chinese medicine as an anti-aging and healing herb. Turmeric possesses various biological properties that can aid in dealing with signs of ageing. The herb belongs to the ginger family and has a vibrant yellow color with a slightly hot bitter taste. Curcuminoids are a class of compounds that are isolated from turmeric powder. They serve as coloring agents and as strong antioxidants. Curcumin belongs to this group and it is one of the most potent therapeutic agents belonging to turmeric. The volatile oil fraction of turmeric also possesses healing properties and contributes to the aroma of the spice. 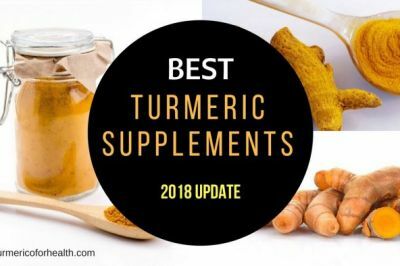 Turmeric’s anti-inflammatory, antioxidant, anti-microbial, anti-cancer and other pharmacological properties make it all-rounder when it comes to therapeutic foods. We will go over different signs of aging and how turmeric can be helpful in treating them. Turmeric for Skin aging – Look, Young ! Appearance of signs of aging on skin is due to a number of factors: extrinsic and intrinsic. Extrinsic factors include smoking, air pollution, sun exposure, alcohol consumption, and poor nutrition. Intrinsic factors are genetic background, declining hormonal activity, and modification in growth factors. Wrinkles, sagging skin, age spots, and hyperpigmentation is seen. The most common solution recommended by all dermatologists is eating a diet rich in antioxidants. Curcuminoids present in turmeric are strong antioxidants. Curcumin has antioxidant activity comparable to that of Vitamin C and E.
It is known to treat conditions of oxidative stress (imbalance between prooxidants and antioxidants). It raises the level of antioxidant enzymes, scavenges free radicals that cause oxidative stress and inhibit lipid peroxidation (oxidation of fats present in the cell membrane leading to cell death). So including turmeric in your diet can prove to be helpful in terms of supplementing your antioxidant intake. Curcumin has been successful in stimulating antioxidant defences in human dermal fibroblasts. Low doses of curcumin increase the production of antioxidant enzymes. However, when senescent cells were treated with curcumin, curcumin’s ability to stimulate an increase in antioxidant enzyme levels was impaired. These cellular responses indicate that curcumin at low levels only can support antioxidant defenses which can be useful in developing an anti-aging intervention. A study conducted in India demonstrates the inhibitory effect of curcumin on UV induced skin damage. The study was a comparison between encapsulated curcumin at different doses, a famous marketed formulation and free curcumin dispersed in an ointment base. Mice were exposed to UV radiation for 5 seconds 5 times a week for 6 weeks and after every exposure, they were treated with different curcumin formulations. 5 and 10 micromole dose of encapsulated curcumin and the marketed formulation showed sufficient strength in controlling lesion formation and restoring redox balance whereas free curcumin did not bring about these effects. Results proved that topically delivered curcumin can control photoaging. What it means : With its wonderful antioxidant property turmeric can help in many ways to delay signs of ageing. It can also help in protecting skin from UV damage – a common cause of skin issues. Turmeric and Cardiovascular system – Keeps Your Heart Young! Aging gradually affects the heart and the entire cardiovascular system. There are changes in the structure of heart tissue, the elasticity of arteries, progressive atherosclerosis and flow of blood through the system. There is a high prevalence of cardiovascular disorders such as hypertension, coronary artery disease, and heart failure in elderly people. Due to diminished heart rate and blood flow, older people take time to recover from stress or shock and surprise. Heart disease is the most common cause of mortality in older people. Various studies report the cardioprotective effect of turmeric extract and curcumin. Reactive oxygen species are a group of molecules that contain reactive oxygen and if produced in excess they cause oxidative stress. Curcumin is an antioxidant and it scavenges reactive oxygen species thereby preventing the progress of cardiovascular diseases. Studies investigating the effectiveness of curcumin against atherosclerosis have reported reduction lipid peroxidation, plasma cholesterol and atherosclerotic lesions in subjects supplemented with curcumin. Experimental studies indicate that curcumin can attenuate endothelial dysfunction (loss of function of blood vessels due to morphological changes) and offer protection against myocardial toxicity and myocardial infarction. Curcumin aids in suppressing inflammation which contributes to cardiovascular disease. A recent study has proven that curcumin supplementation can ameliorate arterial stiffening and reverse endothelial dysfunction and vascular oxidative stress with aging in mice. Overall one can conclude that a diet supplemented with curcumin can be helpful in supporting healthy aging of the cardiovascular system. What it means: A young heart means young body 🙂 Turmeric’s scavenges on reactive oxygen species thereby preventing progress of cardiovascular diseases. It can help in keeping your heart healthy by fighting various possible heart disorders as you age. Turmeric & Musculoskeletal system – Keep Walking! Bones, muscles and joint tissues weaken with age. Bone density reduces gradually over the years, making the bones fragile and prone to fracture. Tissues in the joints are altered which prevent the surfaces of the joints from sliding easily over each other and makes joints susceptible to damage. Stiffening of joints also affects motion. Reduced muscle mass and muscle strength also increase the risk of injury. Osteoarthritis, osteoporosis, and sarcopenia are the major diseases affecting the musculoskeletal system of aged individuals. Osteoporosis is a chronic condition characterized by loss of bone mass and increased risk of fractures. It generally affects postmenopausal women due to estrogen deficiency. A study conducted in Kyungpook National University, Korea compared the effects of high and low doses of curcumin in treating osteoporosis in ovariectomized (surgical removal of ovaries) rats. It was observed that both high and low doses of curcumin improved a few of the bone parameters affected by estrogen deficiency. However high dose produced a significant increase in bone mineral density and bone strength compared to low dose. The anti-arthritic potential of curcumin has been studied on bone cells. Each of these studies reports the different mechanisms curcumin employs in controlling osteoarthritis (OA). Clinical trials suggest that anti-inflammatory property of curcumin makes it worth considering curcumin formulations as an aid for long term complementary management of OA. Preparation of turmeric in combination with two other nutraceuticals has proven to be effective in treating acute and chronic joint pain and results of the study also propose that this formulation is a safer alternative when compared to NSAIDs. Various factors apart from aging could lead to loss of muscle mass apart from aging, some of them being sepsis, injury or cancer. Inflammation plays a very important role in this process and part of this process is regulated by pro-inflammatory agent, nuclear factor-kappaB. Curcumin, as an anti-inflammatory molecule, is known to regulate the activity of NF-kappaB which is why it is suggested that curcumin can prevent loss of muscle mass but currently no experiments prove this hypothesis. It has been proved that curcumin can prevent delayed onset muscle soreness (muscular pain due to excessively strenuous activity). 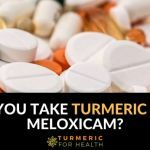 These studies definitely help us to conclude that turmeric is therapeutic in treating musculoskeletal disorders prevalent in the older population. 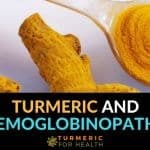 What it means: Turmeric has been proven to have amazing anti-arthritic potential. It can not only help keep cones healthy but help in inflammation of joints without side effects like a NSAID. Like every other organ, even the brain is susceptible to alterations caused by aging. With age parts of the brain begin to shrink and loss of memory is observed. There is also a decline in cognitive performance. Reduced production of neurotransmitters (chemicals that transfer signals in the brain) and hormones affect the functioning of the aging brain. Also, changes are observed in brain blood vessels. Dementia, Alzheimer’s disease, and stroke are the most common neurodegenerative diseases prevalent in the elderly. Curcumin serves as a neuroprotective agent by exerting its anti-inflammatory, antioxidant and anti-protein aggregate activity. A number of studies have proven that curcumin can prevent or reduce symptoms associated with Alzheimer’s disease. Curcumin can reduce neurotransmitter toxicity and control oxidative stress in Parkinson’s’ disease (an age-related neurodegenerative disease characterized by loss of brain cells). Research confirms that even delayed curcumin treatment can offer protection from damage caused by stroke. Curcumin increases life span in middle-aged mice. It offers protection against central nervous system oxidative damage. Curcumin also supports neuronal differentiation which makes it a potential candidate to offer protection against CNS (central nervous system) injury and neurodegeneration. A study conducted in China proves that dietary curcumin can improve age-related damage to cerebral blood vessels. What it means: Turmeric has been known to help in Alzheimer’s, Parkisons’, nervous system injury and neurodegeneration. Thus, it can help prevent and also help with symptoms of these disorders. Turmeric – Aging & Vision – Never lose sight! Aging changes are seen in various parts of the eye. Glaucoma, cataract, age-related macular degeneration (AMD), dry eye, diabetic retinopathy, and retinal detachment are a few of the age-related visual disorders. Curcumin plays a therapeutic role in many ophthalmologic conditions. Korean researchers have concluded that due to its strong antioxidant property, curcumin can prove to be a preventive and augmentative therapy for AMD. AMD results from abnormal functioning of specific retinal cells which are susceptible to oxidative stress. In this study, these human retinal cells were subjected to experimental oxidative conditions and treated with curcumin. Curcumin protected the cells from oxidative stress by increasing the level of the antioxidant enzyme, thereby suggesting its therapeutic role in AMD. Dry eye disease occurs when tear glands do not produce enough tears thus causing an itching or burning sensation in eyes. Changes in eyelid structure can affect the functioning of the tear gland. It has been reported that curcumin might have therapeutic potential in dry eye disease. Curcumin’s anti-inflammatory effect was found to suppress the activity of pro-inflammatory agent nuclear factor-kappa B in human corneal cells. Indian Council of Medical Research, Hyderabad has proved that feeding curcumin and turmeric to diabetic rats can help prevent or treat diabetic retinopathy. Turmeric, as a dietary source, is a proven anticataractogenic agent. Turmeric is more effective than corresponding levels of curcumin in controlling oxidative stress in diabetic cataract. Curcumin derivatives can prevent cataract formation by balancing activity of antioxidant enzyme and calcium levels. Experimental and clinical data obtained so far indicate that oral supplementation with curcumin can reduce eye discomfort however even topical administration of curcumin is being investigated. What it means: Turmeirc can help in prevention and is also found to have therapeutic potential in several of age induced eye disorders such as dry eye, cataract, Diabetic retinopathy, etc. Ageing & Diseases – Stay Protected! Aging is associated with a wide range of diseases and compromised immunity and slow activity of organs can be held responsible for this. One of the metabolic diseases that affect the older population is diabetes. Aging significantly impacts tissues involved in nutrient metabolism and hence these tissues become less sensitive to the activity of the hormone, insulin. This leads to elevated glucose level which is a symptom of type 2 diabetes mellitus. Diabetes increases the risk of dementia, obesity, atherosclerosis, and retinal complications, etc. in the older generation. Curcumin has the ability to control blood glucose level and elevate insulin levels. Curcumin also proves to be therapeutic in diabetes-associated complications like diabetic nephropathy, neuropathy, retinopathy and cholesterol problems caused by diabetes. Anti-inflammatory and anti-oxidant properties of curcumin bring about this effect. Hypertension or high blood pressure is a symptom of metabolic diseases. A study reports the effect of turmeric in combination with another herb to treat hypertension and related metabolic diseases. To develop an experimental model rat were fed a diet rich in sugar so that they would develop symptoms of metabolic syndrome. Turmeric, alone or in combination with the other herb, was administered to the rats for 6 weeks. At 3 weeks turmeric reduced high blood pressure and cholesterol while at 6 weeks the combination of the herbs was able to prevent all symptoms of metabolic syndrome. Cancer and aging both occur due to cellular damage. However, some aging processes support cancer development whereas some hinder it. Active research is being carried out to elucidate these mechanisms and to strike a balance between the processes. The anticarcinogenic properties of curcumin in animals have been demonstrated by its inhibition of tumor initiation and tumor promotion. 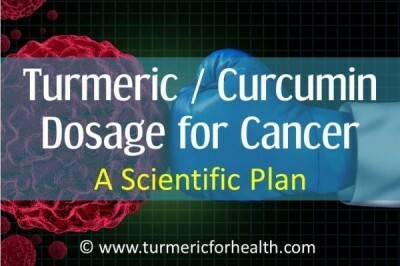 Curcumin has been shown to suppress multiple signaling pathways and inhibit cell proliferation, invasion, and metastasis. Curcumin provides protective effects against various cancers including gastrointestinal, genitourinary, gynecological, hematological, pulmonary, thymic, brain, breast, and bone. What it means: According to research turmeric is known to have more than 600 health benefits. So even though it may not look like, it silently defends you from various disorders as immunity levels goes down with age. Ageing & overall health – Health is Wealth! 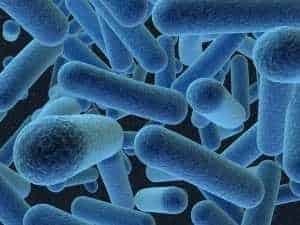 Aging brings about various physiological changes which lead to compromised immunity in elders compared to the younger generation, thus making them susceptible to infections. Turmeric has an immunomodulatory effect: it can stimulate immunity to fight foreign bodies and it can even control immune responses in case of inflammation. It is already proven that curcuminoid fraction of turmeric possesses therapeutic properties. 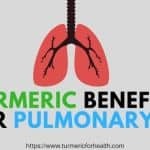 An experimental study was carried out in Bangalore, India to evaluate the immune-stimulatory and anti-inflammatory properties of a marketed formulation of turmeric which was devoid of curcuminoids. Mouse white blood cells, that were exposed to antigen and those that were left unstimulated, were treated with this turmeric formulation. It was observed that in unstimulated cells turmeric increased the production of pro-inflammatory molecules and this indicated it immunostimulatory property. However, inflammation needs to be controlled in case of pain and wound repair. 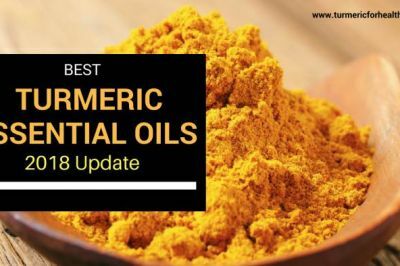 The turmeric formulation was found to inhibit the production of pro-inflammatory agents in stimulated cells, thereby displaying its anti-inflammatory properties. 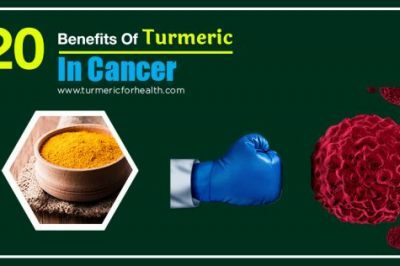 The results of this study help one to conclude that including turmeric in diet can not only help in warding off joint pain or muscle ache but also improve one’s immune response in old age. It would be noteworthy to mention here that turmeric also possesses anti-microbial property. It has been hypothesized that calorie restriction can slow down or delay aging. Fat tissue burns fewer calories than does muscle; therefore one needs fewer calories to maintain their current weight in old age. However, for those who would like to keep their weight under control without checking their calorie intake, turmeric seems to be their saviour. Apart from lowering blood cholesterol, turmeric also curbs obesity. Curcumin prevents differentiation and proliferation of fat tissue and improves antioxidant activity. It also suppresses chronic inflammation in fat tissue. Evidence suggests curcumin may regulate lipid metabolism, which plays a central role in the development of obesity and its complications. The digestive system also is prone to changes brought about the aging process. The need to consume supplements and the occurrence of other diseases impacts digestion. The multiple pharmacological activities of curcumin are employed to treat various gastrointestinal diseases like inflammatory bowel disease, colorectal cancer, gastroesophageal reflux disease, etc. Antioxidants, when tested on a standard fruit fly model of longevity, have shown to prolong lifespan. Curcumin is a strong antioxidant and to test this hypothesis 9 groups of fruit flies were cultured on media containing different amounts of curcumin. The number of fruit flies in each group was noted daily and mean lifespan for each group was determined. 1mg curcumin/ g of media was found to prolong the lifespan. This demonstrates that dietary consumption of curcumin can promote longevity; however, more research needs to be directed in this area. Many readers keep asking me should they take supplements? As you can see turmeric has tremendous health benefits, not one, not two but hundreds. Now you cannot get those benefits fully unless you take turmeric for your lifetime. So you will think? What taking a pill for a lifetime? That’s where I differ. When you include it in your diet – say curries, smoothies, salads – it is part of your life – just like for example – salt is. 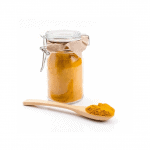 Turmeric paste – a great way to add turmeric into almost anything or just to take it alone. The best part is, you can add turmeric anywhere and thus make your recipes in no time! Including turmeric in diet does not cause side effects. 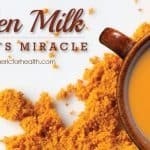 Turmeric can be consumed as turmeric milk or turmeric tea or even as turmeric paste. 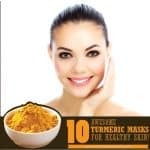 Topical application of turmeric in the form of face packs (see here for turmeric masks) or as a paste over aching joints can be beneficial. Inappropriate dose or allergic reactions can pose risks to health. Therefore caution should be exercised while consuming turmeric supplements. Turmeric supplements should be avoided in case of pregnancy and lactation. 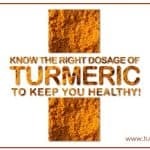 Since it has a blood thinning property, turmeric supplements should be discontinued 2 weeks prior to surgical procedures and also in case of diabetes if one is already consuming blood thinning medications. Caution should be observed while consuming supplements especially when suffering from gallstones, obstruction of bile passages or gastrointestinal diseases. 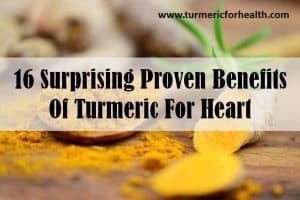 When we started writing the article I was convinced turmeric will be of great help but by the end of it, I was amazed how even I underestimated its benefits. Initially, I was a bit hesitant to write the article title what it is “best anti-aging agent”. But now I have little doubt about it. 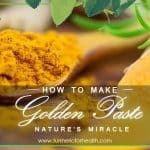 What can I say but this – turmeric is truly a miracle herb and can help in “healthy aging”. If you have not started taking turmeric yet, start it now. For me, the proof is in the pudding, both my husband and I have seen the difference in the overall inflammation and pain in our bodies. 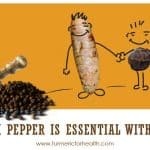 I am 67 years old and my husband is 76 years and turmeric with a pinch of black pepper capsules that we filled ourselves is part of our daily life. Thank you for the additional information, it reinforced why we consumed it daily. Good article, I liked it very much. Everything is very simple and cool provided. Like. Nice article. For dosage, are you sure it’s not 4000-6000 mg 3 x day for powder? 400-600 is a very small amount. Hi. 400-600mg 3 times per day applies to standardized curcumin supplements and is considered as effective dosage. Whoever wrote this page needs to learn the difference between “few of ___” and “a few of ____.” In many cases, these phrases mean the opposite, yet in all cases above, the author has used the first form. Reading between the lines, I think in each case what was meant was the other (“a few of ___”). Good information, despite that small error. Thanks for the summary! Hi. Thank you for pointing out the error, we have updated the post. Glad to hear that you liked the article! Hi, I enjoyed reading this article. I have taken Turmeric for some years after being introduced to it in India. However, having come back to America, when I eat turmeric I get sores on my lip. If I stop taking turmeric they go away. When I returned to India this summer, I was fearful I would have the same reaction, but every meal I ate in India was loaded with turmeric seasoning and I had no problems at all. Also, when I first came back to America after living in India for 2 years I was eating turmeric with no problem. It seems in the last couple of years it started becoming a problem. I really miss this herb, because it was almost magical in the effect it had on my acne prone skin. But now I can’t take it at all. You say Turmeric is does not cause allergic reactions, so I do not understand what is going on. Maybe the increased popularity, has some kind of commercial additive been put there to help sell more and is the problem? Hi. There are very few cases of turmeric allergy noted till date. Also it has proven anti-allergen property. Have you tried switching the brand of turmeric? Please ensure it is from a trusted supplier and its organic because there are many instances of adulteration of turmeric powder. Also you could consider buying fresh roots and consuming Golden paste made from fresh roots. I use tumeric also as a facemask. I do this 3 times a week. Im 57 and people always think im 45 orveven younger. And i drink tumeric in hot water aswell. Hi Gloria. Glad to hear that turmeric is benefiting you. Thank you for your feedback. Curcuma donkey milk soap the best antiaging factor!! I’ve been taking turmeric for years, which I drink every morning in a ‘tea’ with soy milk and honey. It is amazing for keeping your weight low, as an anti-inflammatory agent, to help with muscle pain and…interestingly…it also helps prevent wrinkles. I am in my 50s, and am often told I look like I am only in my 30s. I highly recommend it to anyone. It really is a wonder spice. And thank you for the article — well researched and a interesting. There were several things in it I did not know! Hi. Thank you for your feedback. Glad to know turmeric helps you! I am living proof that Turmeric can eliminate muscle soreness after strenuous exercise. I have been supplementing with Turmeric powder for one month. I woke up with absolutely no muscle soreness this morning even though I jogged for one hour yesterday. That is awesome. Thank you for sharing this. 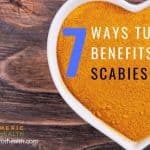 Most informative and wonderful Article I’ve seen sofar…& I’ve seen a few…I am,and continue to be a living proof of amazing tumeric results…this is the reason I’m giving this Article 100%…I must add though,that Tumeric is not only great for Humans,but Animals also…I Have a one year old cat…and sorry I am not able to explain the terrible ordeals that has befall him after his birth,but I believe that,if it wasn’t for Tumeric,he wouldn’t be alive today…I continue to add a dash of tumeric to his food each day,the results are amazing…Thanks again for this wonderful Article! TumericSaves#butJesussavesthebestthough! Haha! My 87 year old grandmother concocts a mixture using turmeric powder and apple cider vinegar first thing every morning for donkeys years ! She is in perfect health, drives, travels, lives alone and looks 55. Her cereal of choice after this mix is Future Life. She swears this is the winning combo! Difficult to dispute as she is incredible ! I been taking turmuric for a while with curcumin in capsules 2 a day with coconut oil andflaxseeds one spoon and a piece of ginger,also some powder of greens one scoop on grape fruit I also add gogi berries.And its great for my inflamation stomack disorders and pain on my feet its also great for weaght loss and getting rid of fat gut. 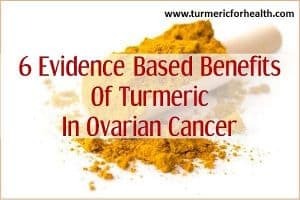 I have been taking 1/2 a teaspoon tumeric powder, 1/2 a teaspoon cinnamon powder, 1/2 a teaspoon of honey and one lemon mixed with hot water first thing in the morning and the combination has been working wonders for me. I have noted my face looks younger, a more alert mind, alot more energy unlike before and less aches. once in a while i crush one clove of garlic and mix with the above. Thank you for your feedback. That combination is amazing in terms of therapeutic properties. Wonderful! 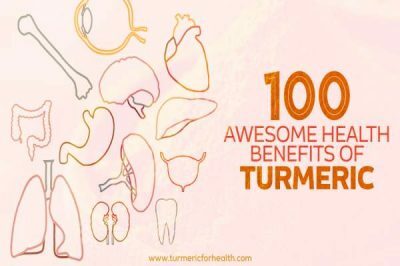 Simply put, turmeric is a wonder herb that should be consumed throughout a person’s lifetime. Stay well all, and blessings to you all! Jesus is Lord! i already started taking turmeric for about a week. 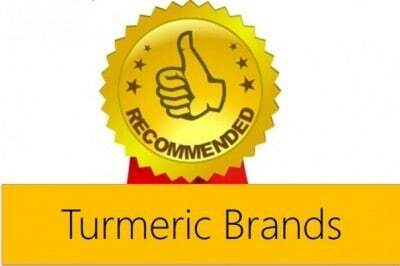 Wow, thank you for sharing the information about the health benefits of tumeric.